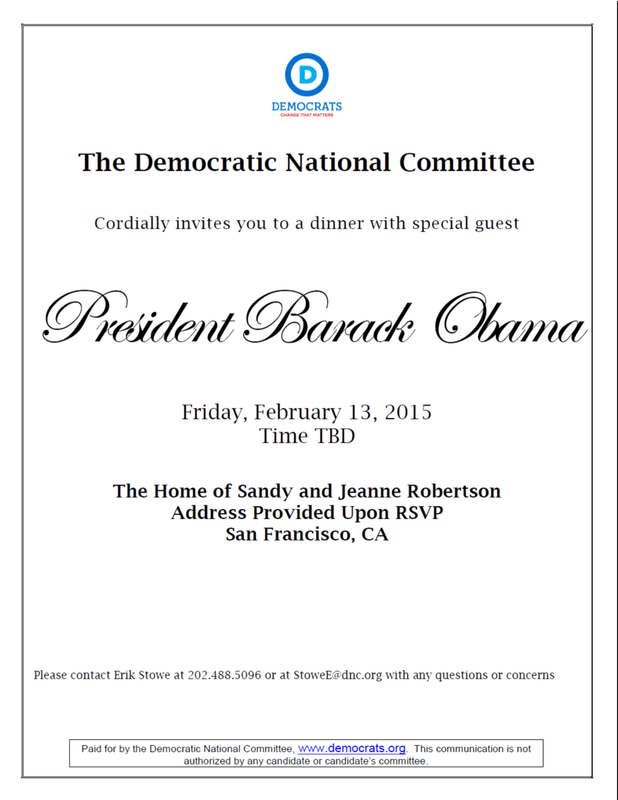 [February 2, 2015] SAN FRANCISCO – Please join the California Democratic Party and President Barack Obama for a Pre-Valentine’s Day Dinner in San Francisco on February 13, 2015. The address and other details will be disseminated upon your RSVP. Please visit my custom link at http://bit.ly/1Dye325 to RSVP. 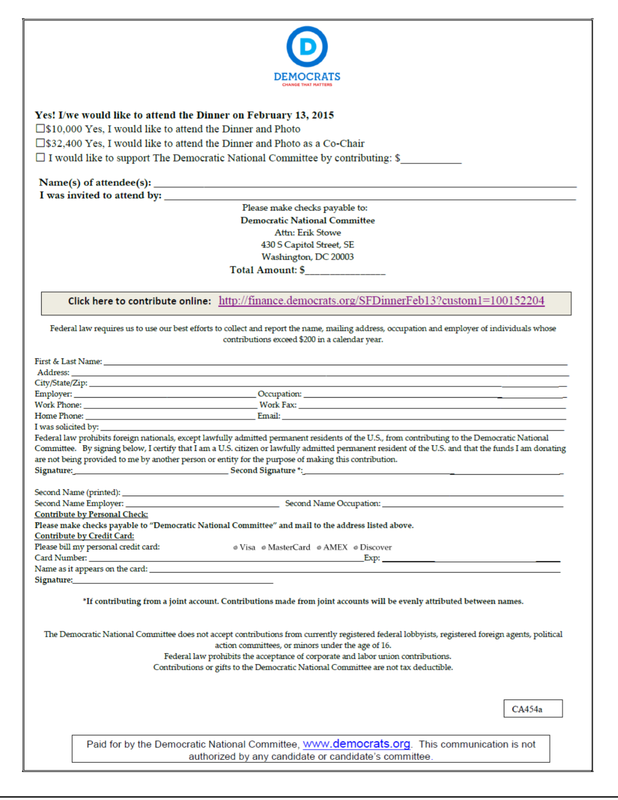 Please contact Erik Stowe with any questions at stowee@dnc.org or (202) 488-5096. Many thanks! By KLN Consulting Group in Uncategorized on February 2, 2015 . Will Barack Obama make any time to talk with the press and with constituents including critics of his policies outside the event, or just be whisked from his big taxpayer-funded motorcade — how much is that costing SF city government, I wonder — into the venue as usual, too cowardly to face the people? Are you doing anything to push for transparency and accountability, or just letting him get away with business as usual? I am not sure what the President’s agenda is during his visit, nor what its impact is on the San Francisco economy. What I would recommend is that you contact the organizers of the event to ask your questions and voice your concerns. Many thanks.